Christmas that is! My fall calendar is very full, I have some weekdays available and just a couple weekend spots left. If you’re thinking about doing a session in the fall – NOW is the time to get your date booked! My final holiday session will be November 13th and the holiday order deadline will be November 21st. 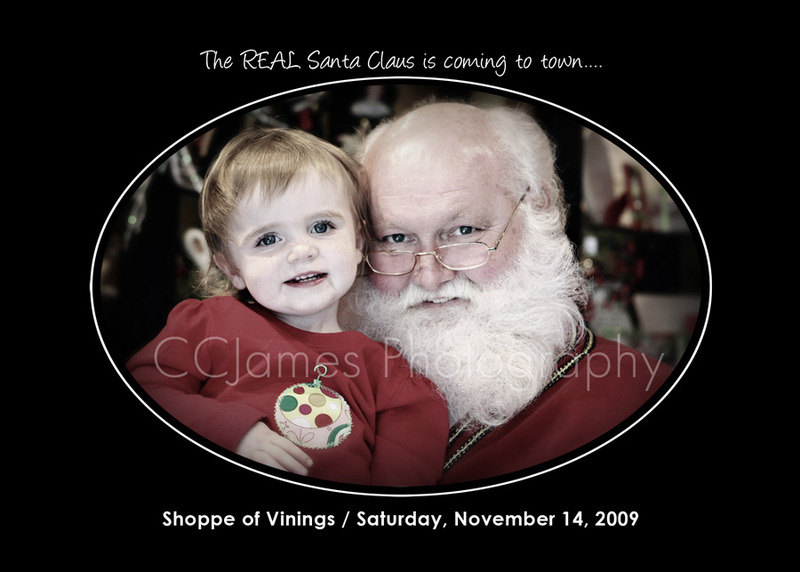 Don’t forget to mark you calendars for the Annual Santa Day and Open House at the Shoppe of Vinings on November 14th from 11am-3pm. This guy is the REAL DEAL! Bring the kids and your camera, take some pictures, do some shopping – and have a great afternoon. Of course, CCJames Photography will be on hand to capture the moment if you prefer! Click HERE to see some great images from last year.